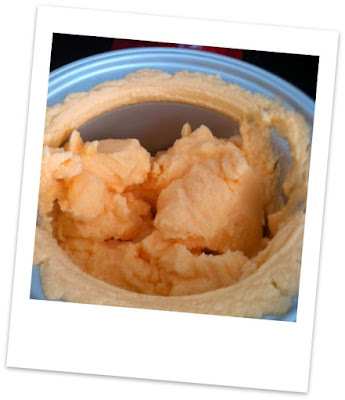 Did you know that if you dump two cans of orange soda and one can of sweetened condensed milk in your ice cream freezer and turn it on that what comes out tastes pretty much just exactly almost nearly like orange sherbet? Just texted Michael to pick up sweetened condensed milk while he's out today. We'll see how this works with John's favorite soda - Big Red. Let me know how the Big Red works. I was also thinking root beer and a little vanilla would be pretty awesome, but I have been charged by my hubby with concocting Chambord ice cream next.